Cam Heyward used his birthday to give back to kids. Steelers’ defensive end Cam Heyward did what a lot of people do on their birthday. He had a party. The only thing was, the party wasn’t for him. 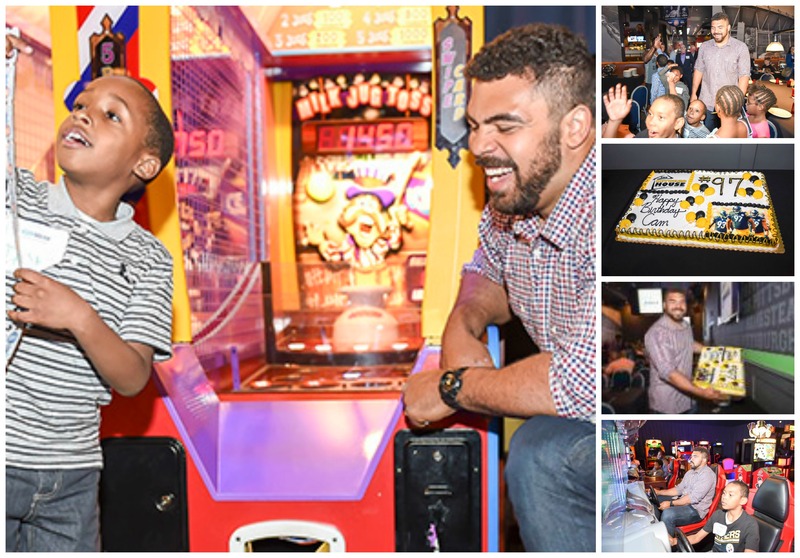 Heyward, who turned 26 on Wednesday, hosted 20 kids from KidsVoice at Dave & Buster’s at the Waterfront for an afternoon of fun and games, and a little bit of birthday cake. The event helped to launch The Heyward House Foundation, which will focus on outreach programs for kids. “I always think someone should have a special day for their birthday,” said Heyward. “We are going to focus on them for their birthday. It’s a great idea to celebrate kid’s birthdays who don’t get to celebrate their birthdays and just give back. 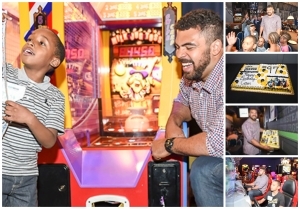 Heyward provided dinner for the kids, but the real fun was when they hit the game room at Dave & Buster’s and took on Heyward and teammates Arthur Moats, Dan McCullers, Stephon Tuitt, Landry Jones and Ethan Hemmer in every game imaginable. “This is a great opportunity in terms of all of our clients who are here and involved in the juvenile court system because their parents aren’t able to provide them with an adequate level of care,” said Scott Hollander, executive director of KidsVoice. “They are abused, neglected kids who are in foster homes, group homes and don’t always have a lot to look forward to. To have Cameron Heyward share his birthday and invite them to come here for the launch of his foundation, it means a lot to them. Any child would feel special to be a part of any event with the Pittsburgh Steelers. For our kids to be invited makes them feel incredibly special. Heyward said the foundation is something that has been in his plans for a while, but was just waiting for the right time. He will be focusing on giving back to kids who need a helping hand, as well as those who battle asthma, something he dealt with growing up. He will also continue with the other work he does in the community, including serving as the Steelers player representative for the United Way of Allegheny County. “I have always cared a lot about our community and kids,” said Heyward. “I think it’s right for me to start my foundation and the birthday club is the first thing we get to do. Me growing up, I had asthma, so in the future we are going to get into some things helping with that. It’s dear to my heart. Other things are close to my heart and I will help there too. Heyward, who will have help from his family running the foundation, got the name The Heyward House from a suggestion by his mother, Charlotte Heyward. Watch a short VIDEO from the fun event. Celebrate Gander Mountain’s Grand Opening with 97 and 14!